What Bedwetting Help Is There? The appropriate bedwetting help depends on a person’s age. It is important for parents to recognize that most children do not develop the ability to stay dry every night until the age of six or seven. Inappropriate expectations sometimes complicate the problem and interfere with treatment. A small percentage of adults are unable to stay dry at night. For adults there are medications that sometimes provide bed wetting help, depending on the underlying cause of the problem. There are two things that allow us to stay dry at night. The first is the production of a hormone that reduces the body’s production of urine. The body normally begins producing the hormone at around sundown. It is a part of the circadian rhythm. The body’s ability to produce the hormone does not begin to develop until the age of two and may not fully develop until the end of puberty. In adults that wet the bed, the underlying cause is sometimes a lack of this hormone called AVP. Medications are available that contain the synthetic version of the hormone. But, it is important to be sure that lack of production of AVP is the problem. If not, it can cause death due to an electrolyte imbalance. The appropriate bedwetting help for children is to wait, unless the child has been dry for several months or years and then reverts to wetting the bed. In that case, the cause could be a bladder infection, a sleep apnea or excessive stress. Too much caffeine can also cause the problem. One of the most commonly recommended approaches is to reduce or cut out fluids several hours before bedtime. A child asking for a drink of water may be delaying bedtime, rather than actually being thirsty. A good approach is to stay with him or her for a few minutes, changing the subject and see what happens. Any kind of punishment is not bed wetting help. In fact, it interferes with other treatment approaches, such as the use of the moisture alarm. 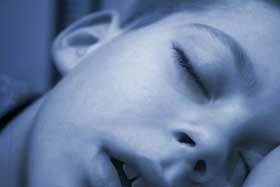 The alarms are considered relatively effective, especially in children that are deep sleepers. A sensor fits in the child’s underpants and is connected to an alarm on the shoulder. The alarm will go off when moisture is detected, which wakes the child. The second thing that allows us to stay dry at night is the ability to wake up when we sense that our bladders are full. As adults, there are medications and other sleep disorders that can interfere with the ability to wake up. Alcohol abuse can also cause a deep sleep, from which a person awakens wet. Parents with children that wet the bed often say that they are difficult to wake up. It is for those children that the alarms are most effective and can provide bedwetting help. For adults, antidepressants are sometimes prescribed, but these are not a good idea for children. There are too many unwanted side effects, including a risk of suicidal behavior. Absorbent underwear, such as GoodNites for kids and Depends for adults are appropriate bed wetting help for any age. A child can still be rewarded for staying dry at night. But, when accidents happen, there is no laundry. The child can throw away the disposable underwear and put on another pair, which helps to protect their self-esteem. Damage to self-esteem is the only long-term risk that accompanies nighttime urination, what doctors call nocturnal enuresis. It is important for adults and children to realize that accidents happen. They are nothing to be ashamed of. If your child is over the age of 9 or reverts to wetting the bed after months or years of dryness, consulting your doctor might be a good idea. Otherwise, the best bedwetting help is to wait. Most doctors consider it a self-limiting problem that requires no treatment, because by the age of 15, it is usually resolves on its own.